Latest VR, AR and 360 Video Articles. Strider VR uses a novel approach to omnidirectional treadmill design, using a rotatable ball array positioned above a traditional linear treadmill, combined with a Microsoft Kinect 2 sensor. 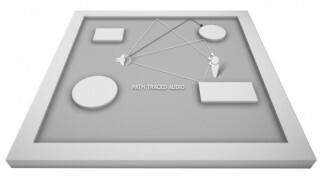 The system is currently available as a development kit from German company Pathbender. While most omnidirectional treadmills allow the user to physically rotate through a full 360 degrees, Strider VR’s Kinect-based system actively keeps your body facing the sensor, while giving the impression that you can turn freely. As described on the developer’s website, rotational and linear displacement generated by two DC motors ensure the user remains in the centre of the platform and in the same orientation. They claim this results in a “near perfect illusion of walking in a virtual world”. The Strider VR concept is an interesting one, as it combines full-body tracking and unrestricted walking using a fairly simple mechanical solution, but the execution appears to have some drawbacks. One of the main challenges of this type of hardware is the interpretation of virtual movement. The system has to provide responsive virtual movement (based on what your legs are doing) while not misinterpreting the corrective ‘recentering’ motions as inputs, which could be particularly difficult in this case as it relies heavily on Kinect’s motion tracking. As explained in the FAQ, the result of constant orientation correction is that movement is limited to walking, and the device is not suitable for fast-paced first person shooters or anything that requires strafing or quick turns. Multiple side-steps are not possible, as that would require an uncomfortable, fast rotation (through 90 degrees) of the top section to align with the conveyor belt. The user appears to be walking fairly gingerly in the footage above, particularly when attempting to change direction, despite having assistance from a harness, and the tracking accuracy of the feet seems shaky. However, this footage appears to show more confident (if still somewhat awkward) strides. Omnidirectional treadmill solutions for VR have struggled to gain traction in the consumer market, with even the successful Virtuix Omni becoming more relevant to the commercial sector. It appears that Pathbender is also positioning Strider VR towards commercial applications. Whether its motorised platform offers benefits above the low-friction surfaces of products like the Omni, Cyberith Virtualizer and Kat Walk remains to be seen. As VR continues to grow, the tools of the medium continue to mature as well. In an impressive demonstration of what you can now create entirely from within VR, artist Nick Ladd has produced an impressive short film using Quill and ANIMVR. Made by Ladd alone in just four days, the short film Escape was made in virtual reality by painting the environments and objects using Quill, while the animation and some effects were produced with Animvr. The end result is a short but impressive look at how VR content creation tools are becoming increasingly mature and enabling creators to achieve a unique look and feel in their work. Quill, it seems, matches nicely with Ladd’s broadly stroked painterly style that’s evident in some of the non-VR works on his art blog. The environments he created for Escape use extreme color contrast as a sort of lighting for the film, instantly setting a strong mood. And although you’re watching the film here as a ‘flat’ video, the assets and environments are made entirely in 3D; it wouldn’t be a stretch to adapt them to be viewed within VR itself. Especially as a one man production, Escape is a promising look at how VR tools are changing workflows, and allowing creators to make beautiful and entertaining works of art in entirely new ways. After a few months of waiting, you can snap up a Windows Mixed Reality headset for yourself… if you meet the right conditions, that is. Microsoft is now selling both the Acer and HP Developer Edition headsets at respective prices of $299 and $329, but only to developers — you can’t pick one up just because you think an Oculus Rift is too expensive, unfortunately. The HP model is also out of stock as of this writing, so you can’t be too picky. Thankfully, you’re largely getting the same experience. Both wearables include a pair of 1,440 x 1,440 displays, a 95-degree field of view, support for 90Hz refresh rates (the usual target for VR) and a single cable that carries both HDMI video and USB data. Those aren’t mind-blowing figures, but that’s not the point. This is more about fostering VR and AR apps to make sure there are plenty of them when Windows Mixed Reality hardware is available to the general public. If all goes well, Microsoft will have laid the groundwork for taking VR and related technologies into the mainstream. Three years later, it’s clear that Nadella remains committed to that plan. During this week’s Build conference, an annual Microsoft event for software developers, the Redmond, Wash.-based firm showed off a new version of Windows, a new controller for virtual reality experiences, and improvements for its Cortana artificial intelligence software. Yes, Microsoft missed the boat on mobile. But, taken together, these announcements show that it’s committed not only to making up lost ground, but also to powering the next big thing in tech, no matter what that might be. Microsoft’s work on Cortana perhaps best highlights the company’s platform-agnostic approach. Whereas rivals like Apple have limited their digital aides to work with only their own hardware, Cortana is available for everything from Windows devices to Internet-connected speakers and cars to, yes, the iPhone. Microsoft sees a particular advantage in making Cortana useful in the workplace, given the company’s historical dominance there. One demonstration during Build showed how an office worker might use Cortana on a living room speaker to get everyday tasks done with simple voice commands, like posting updates to the company’s workplace chatroom, getting traffic notifications while driving to a meeting, or requesting time off. Meanwhile, the forthcoming update will make Windows 10 the most multi-platform version of the software Microsoft has ever made. Cortana will help users seamlessly transition between devices, whether they run Windows or not. An improved clipboard makes it possible to copy and paste content between Windows, Android, and iOS devices. And a new video editing app called Story Remix lets users work on projects across devices — if you get some work done on an Apple device then switch back to a Windows computer, it’ll pick up where you left off. But Microsoft’s boldest bet is on virtual and augmented reality. Its Windows 10 Mixed Reality software powers a range of experiences that, when used with hardware like the upcoming headsets from Acer and HP, blend the physical and digital worlds. The jury is still out on whether VR will go mainstream any time soon. But if it does, Microsoft is well-positioned to be a dominant force in the field. “If we can get that presence right, I think it’s just going to revolutionize our lives, allow us to connect when we’re apart,” Terry Myerson, Microsoft’s executive vice president of Windows and devices, told TIME in a previous interview. There is good reason for Microsoft’s cross-platform approach. Worldwide PC shipments dipped by 2.4% year-over-year in the first quarter of 2017, according to research firm Gartner. Another firm, IDC, says shipments actually grew in this year’s first quarter, but only by 0.6%. Those numbers are bad news if your company is tied to PCs in the way Microsoft has historically been. So this kind of forward-looking hedging may give Microsoft a way to stay relevant in the future. “If anything, one big mistake we made in our past was to think of the PC as the hub for everything for all time to come,” Nadella told ZDNet in 2015. “Therefore, we have to be on the hunt for what’s the next bend in the curve.” Nobody can predict the future, of course. But Microsoft looks more prepared than ever for whatever’s around the corner. Weddings are increasingly high-tech affairs, with everything from homemade photo booths to LED lights to drones getting in on the nuptials. But one recent ceremony might go down in wedding history as a real sign of the times. Elisa Evans, 46, and Martin Shervington, 44, got married in a futuristic dance hall underneath a glittery disco ball as red lava filled the skies overhead. At least, that’s how their virtual reality wedding took place on May 25. Modern and relatively affordable virtual reality technology made the novel approach possible for the Cardiff, Wales couple, who say they wanted something personal. “Who wouldn’t want to be a time traveling robot with the opportunity to revisit their own wedding? The choice seemed the only way to go,” Martin, a writer, told TIME. The pair decided to partner with VR company AltspaceVR to make the red lava-filled wedding of their dreams happen. They spent $2,531 a piece on the computer and headset. When it was time for their first waltz as man and wife, this never-more-hip couple in headsets swung their arms and danced at the Cardiff cafe-bar Sunflower & I. But the 40 guests at the groom’s apartment passing the VR headsets around just saw two digital avatars busting a move, one royal blue and the other hot pink. Two particularly early adopters had the first “cyberspace” wedding when virtual reality was a much more rudimentary concept in 1994. But they couldn’t move their hands around their virtual world quite like the Wales couple could, thanks to modern high-tech controllers. Not everyone knew how the mind-bending plan would come together until the wedding day. “Some people were expecting us to be dressed up like robots and didn’t quite understand that we were the avatars,” Martin said. The guests had avatars, too. They watched as the groom played host with a heartfelt presentation peppered with jokes. As he got down to thank you’s in between funny clips from The Office and Inception, the modern set-up gave guests a way to get in on the action remotely: emoji. Streams of hearts and clapping hands bubbled up from the guests’ avatars within the experience. The pair fell in love with each other’s humor one year ago, and these two have been laughing a lot since. “When you know it’s right, it is right,” Elisa, a business owner, said. A community manager for the company, Lisa Kotecki, beamed in from San Francisco to officiate the legally binding affair. Martin’s vows: “I promise to keep on loving you, make you laugh at silly things and allow you to be free to be yourself,” he said as his avatar swiveled to face hers. Elisa’s: “I promise to love you, to make you happy, and to laugh with you every day. I promise to try not to be funnier than you,” she answered. “That’s going to be difficult,” he added. The playful ceremony went off mostly without a hitch, though the kiss was tricky with the bulky equipment on their heads. Lucky for them, there was another chance. “In real life, the kiss was fine,” Martin said. This party, however, had food. Along with some face time, guests enjoyed a custom cake with toppers they recognized — mini pink and blue robots. But the most interesting difference between the simulated event and the one they had for real may have been the emotional landscape. “We didn’t get to see a sea of heart emojis from the guests in the real world, but there were a lot of smiles,” Martin said. The now popular 360-degree wedding video is one way to immortalize the memories, but this next-level couple can throw on a headset and relive their special day whenever they want. That’s not even what invigorates them most. Earlier this year Facebook CEO Mark Zuckerberg teased a new form of input being developed over at Oculus: hand tracking gloves. We only saw them through a picture at first, but now a video has surfaced online showing them in action. An Oculus video posted last week, and featured in a recent blog post from Michael Abrash, shows what looks like the same gloves in action. It reveals a marker-based solution that uses external tracking cameras. “Unfortunately, hands have about 25 degrees of freedom and lots of self-occlusion,” Abrash said. “Right now, retroreflector-covered gloves and lots of cameras are needed to get to this level of tracking quality.” Perhaps one day the company might be able to fit all of that into sensors like those used for the Rift and Touch, but right now it requires that elaborate rig constructed around Zuckerberg in the picture he teased. Not very consumer-friendly. Given the timing of the video, we wonder if Oculus will be showcasing these gloves at SIGGRAPH when it gets underway next week. You shouldn’t expect an actual product to come out of this anytime soon; Oculus won’t be releasing any new hardware in 2017 and the Touch controllers are still the primary form of input for its VR experiences having only released late last year. It’s more than likely that this is still an R&D project that’s not even confirmed for a consumer release. We’d love to know if these gloves have any kind of haptic feedback to react to actions like pressing buttons. Accurate finger tracking is another important step towards fully VR immersion, but actually replicating the feel and resistance of surfaces and objects in VR is another challenge entirely. It’s exciting to think, though, about what might be possible with a combination of glove and Touch controller, giving us unprecedented hand-presence in the virtual world. That said the finger tracking on Valve’s new Knuckles controllers for SteamVR offers a similar sort of experience already. Thinking that Oculus’ insane Rift sale is to clear out stock for something new? Think again: the company has no plans for new Rift tech anytime soon. Head of Content Jason Rubin said as much in a recent interview with Cnet, assuring people that just bought the headset — currently discounted to $399 with Oculus Touch — that they have years of content ahead of them. “I want to be clear: we are dropping the price to get more people in Rifts because we expect the next years to be very Rift-focused and Rift-centric,” Rubin said. He noted that it would “take a while” for technologies such as eye-tracking and wireless support to become fully integrated features of a Rift headset. Wireless might be added via a peripheral in the future, similar to upgrade kits we’re currently seeing for the HTC Vive, but Oculus won’t be making it an out of the box feature for a long time. “To answer your question about all these other technologies: People should not hold their breath and wait, it’s not coming in a minute,” Rubin added. It sounds like we won’t be hearing about a true successor to the Rift anytime soon, then. That is unless the next iteration of the device is only incremental in its updates. For now, the company is focusing on content, having just released Lone Echo and announced one of its first big title for 2018 in Marvel Powers United VR. If we are to see any hardware updates from Oculus soon, it will likely be in the standalone VR section. Last year at Oculus Connect the company showcased a prototype headset in this category, so we could possibly get a fresh look at this year’s event, especially with recent leaks suggests it’s work on not one but two standalone devices. The Norwegian program uses MR to bring competition to life; letting viewers play along. It was only a matter of time until mixed reality made its way to broadcast television. Developed by The Future Group and FreemantleMedia (the company responsible for American Idol and X Factor), Lost In Time is a Norwegian game show that uses interactive mixed reality technology combined with a customized green screen studio to transport contestants to different landscapes scattered across time and space. From obstacles in the Jurassic Era, puzzles in the Roaring 20’s, and challenges in Medieval times, contestants will shoot, drive, navigate and solve their way to glory. 24 different challenges fall into four primary game categories with each competition lasting 90 seconds each. Physical props are spread throughout the green screen studio to help guide participants. Otherwise the rest of the scenery is rendered digitally using Unreal Engine 4 in post. This explains the beautifully rendered visuals (this level of quality requires extensive rendering time) as well as the lack of a live broadcast. Participants competing will not be wearing any form of a virtual reality headset, which means only spectators will have a chance to view the full mixed reality experience. However the Lost In Time experience extends much further than the mixed reality competition. Viewers at home also have the chance to get their hands dirty by competing in touchscreen mobile versions of the full challenges. Instead of suiting up and physically running through each challenge, players use their smartphones to touch and swipe their way to enticing cash prizes. This is just another clear indicator of the endless entertainment potential mixed reality can provide. Immersive technology could revolutionize how TV and film projects are developed from the ground up. At least this is the hope of The Future Group as they continue to dive deeper into MR. The program is only half way through its 8 episode season in Norway, with each episode lasting a total 43 minutes each. Hopefully U.S. broadcasters smarten up and jump on this goldmine as soon as possible. Oculus Connect 4, the company’s fourth annual developer conference, is set for October 11th and 12th in San Jose, California. There, Oculus will share with developers some of its latest research and developments, including what’s coming to the company’s VR Audio SDK. Spatial audio is hugely important for creating convincing virtual reality worlds. Traditional stereo audio often sounds like it emanates from within your head. In VR, most sounds need to have distinct sources that sound as if they’re coming from somewhere within the virtual world, just like they would in real life. But simulating realistic sounds in complex 3D environments isn’t as easy as it may seem, especially if you need to do so accurately and efficiently. Many companies have been working on the challenge of spatial audio in VR, with varying degrees of complexity and success. Software Engineering Manager Pete Stirling will take to the stage in a session titled ‘2017 Breakthroughs in Spatial Audio Technologies’, to overview the latest spatial audio tech devised by the company. Get up to speed on key terminology and concepts you need to know, then dive directly into the newest audio tech developed by Oculus. We’ll cover how new techniques and tools like Near Field HRTF and Volumetric Sound Sources help create dramatically increased immersion for people experiencing your game or app. Attendees will also get a first look at what’s coming in the Audio SDK roadmap. The session description also promises to give attendees a first look at what’s coming to the Oculus Audio SDK, implying that whatever new spatial audio tech the company has cooked up will soon be rolled into the SDK. The session is among more than 30 expected at the developer conference, 14 of which are now revealed on the Oculus Connect schedule. Mobile is the path of least resistance when it comes to introducing the masses to virtual and augmented reality and many eyes are on this particular branch of technology as breakthroughs are made in pursuit of delivering a powerful experience. It pays to have some big names innovating with VR/AR and two huge tech entities are aiming to do just that with network specialist Nokia partnering with smartphone manufacturer Xiaomi for a cross-licensing patent deal. The new deal, reported by CNBC, explains that the two companies will be seeking out mutually beneficial innovations specifically focused on VR, AR, artificial intelligence, and more. The patents will be of the “standard essential” classification, which involves the technology that brings their products to industry standards. A spokesperson for Xiaomi told CNBC on Wednesday that the Nokia deal will help with global expansion, but it doesn’t mean the company is focusing on one particular market. “Our collaboration with Nokia will enable us to tap on its leadership in building large, high-performance networks and formidable strength in software and services, as we seek to create even more remarkable products and services that deliver the best user experience to our (product brand) Mi fans worldwide,” says Lei Jun, chairman and CEO of Xiaomi, in the press release for the new announcement. It may be quite a while before this partnership bears significant fruit, but it is an example of major companies embracing the long-term potential of VR and AR among their various businesses.